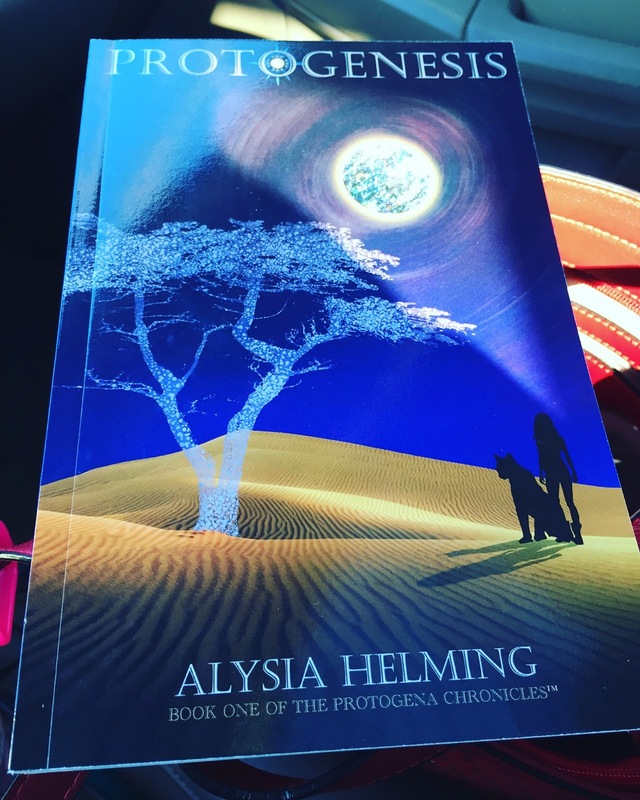 Alysia Helming’s debut novel, ‘Protogenesis’ reaches number one on Amazon. ‘Protogenesis’ chronicles the teenage protagonist’s abrupt move from California to Greece after her mother’s death, leading her to discover not only a magical country, but also the magical world of Greek mythology, which becomes intertwined in her real life. Author Alysia Helming, pictured with Greek recording artist Kostas Martakis, at the launch of Protogenesis. Author Alysia Helming’s debut novel, Protogenesis—the first installment in a seven-novel YA series, the “Protegena Chronicles”—hit number one on Amazon. Protogenesis chronicles the story of a young girl, Helene Crawford, whose entire life is uprooted upon her mother’s sudden, tragic disappearance. Helene moves to Greece to live with a godfather she has never met, and a mission to investigate her mother’s mysterious disappearance and what role the Greek mafia played. There, she finds herself faced with all the usual travails of being a teenager: adjusting to a new school, learning and fitting into a new culture, and navigating her love life. Soon, she finds herself ensnared in a love triangle, but that is the least of her problems: she finds a mystical portal into a world where Greek mythology and the roots of modern civilization converge. Helene hopes the portal will help her find out what happened to her mother, but whether the Greek gods and goddesses are on her side remains to be seen. The appeal to teenage girls goes far beyond Helene’s relatable problems—as well as her other-worldy ones—and her love triangle, the original theme song to the book, “Forever & Tonight”, was created with Greek heartthrob Kostas Martakis, in collaboration with Panik Entertainment Group. For more information about the song and its role in the book, please visit http://www.alysiahelming.com/take-me-to-greece/. Although much of Helene’s experiences may be supernatural, much of it is rooted in real-life, highlighting the serious economic crisis that plagues Greece. To bring Helene’s world to life, Helming visited Greece eight times between 2015 and 2016. On each trip, she met many friends and collaborators that helped her to thoroughly understand the rich culture, mythology, and unique challenges that the Greek people face through the current crisis there. As one reader put it, “Helene’s world is a fantasy that seems only a step or two from our reality.” Now, Helming’s mission is to help Greece by offering a message of hope and to drive tourism there through her book series. Alysia Helming started writing her own short stories and plays for school in the third grade, and throughout her life has never forgotten her passion for writing. In 2000, Alysia coauthored a pilot for a TV series, One Degree of Separation, and, in 2006, she coordinated the local premiere of the feature-length movie The Great Warming, starring Alanis Morissette and Keanu Reeves, assisting with the nationwide release of the film. As a former student in Screenwriting at University of California, Los Angeles, Alysia wrote a full-length feature film screenplay, The Green Warrior, in 2009-2010. She is enjoying her writing journey, traveling regularly between her home in the Oakland Hills nestled above the San Francisco Bay, and Athens, Greece, the primary setting for her novel series. “Like” Alysia Helming on Facebook at https://www.facebook.com/alysiahelmingnovelist. Follow Alysia Helming on Twitter @Alysia Helming. Connect with Alysia Helming on Instagram @Alysia Helming. Helene's mother is missing and someone is trying to kill her. She is told to trust no one as she makes her trek to Greece to stay with a Godfather named Janus she doesn't know while she tries to figure out what happened to her mother. Janus is an eccentric character who is as confused that she has arrived in Greece as she is that he and her mother were friends. With glowing stones, a magic cat, a and mirror that becomes a portal another planet while she tries to balance out her potential boyfriend's Ever and Nick and figure out the mystery surrounding her mother's disappearance Helene certainly has her work cut out for her. A truly great read. Alysia mixes culture, mystery, Greek mythology, romance and fantasy into a wonderful story that will have fans of Percy Jackson and Harry Potter loving each magical chapter except this time we have a female heroine with male sidekicks. Hooray! Girl Power.